There was a time when the Disneyland landscape was a lot more diverse; instead of being all about the Disney brand, there were many other corporations who had a presence in the Park. 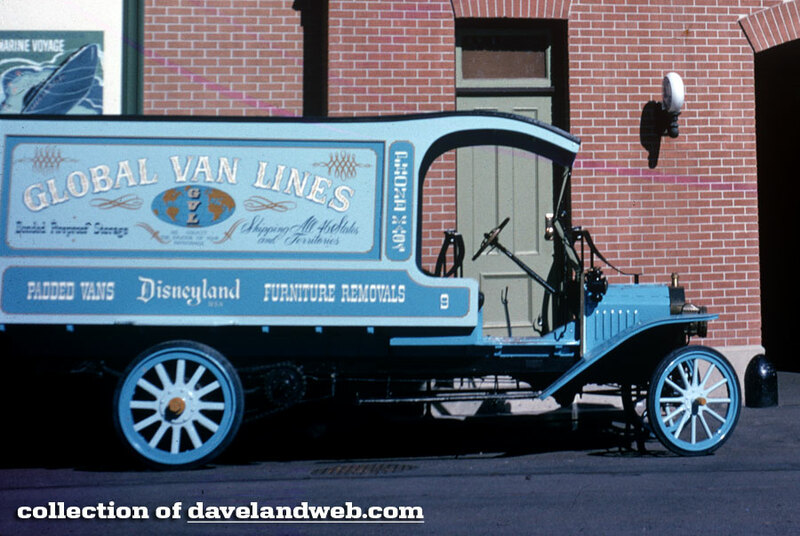 This was especially apparent on Main Street, U.S.A.
Howard Van Lines was a transport company founded in 1933 by George T. Howard in Dallas, Texas. 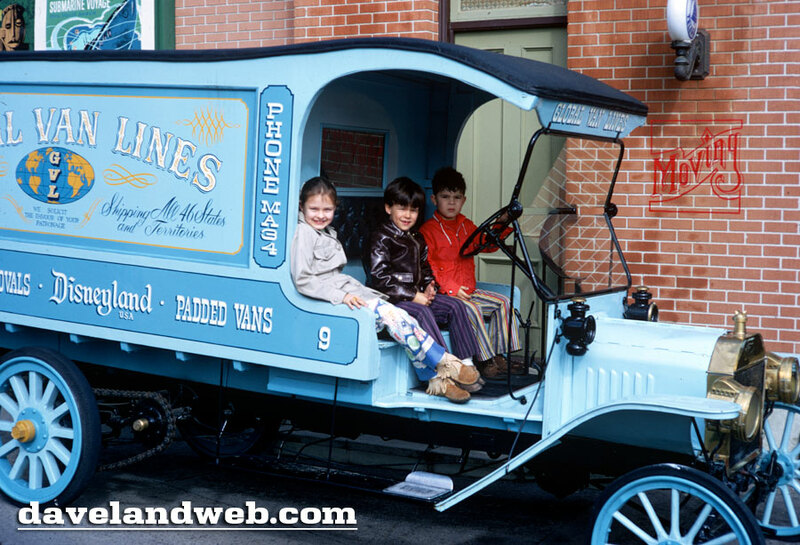 It became Global Van Lines in 1957 when it was acquired by Trans-Ocean Van Service of Long Beach, California. One of its claims to fame came in the 1960s when it moved equipment for NASA. For many years, its slogan was "Modern moving with old fashioned care." Over the years Global changed hands quite often; it was acquired in 1981 by WKG Corporation of Houston, Texas then sold to Contrans Corporation in 1985, followed by Global agents who acquired the company in 1990, making it similar in form to a cooperative. It was acquired by Interstate Van Lines in 1998 then sold to Allied Worldwide in 2000, which became Sirva. That's a lot of change! See more Daveland vintage & current Town Square photos at my main website. I remember when Main Street was more diverse and not just another "World of Disney" type retail space within the Park. 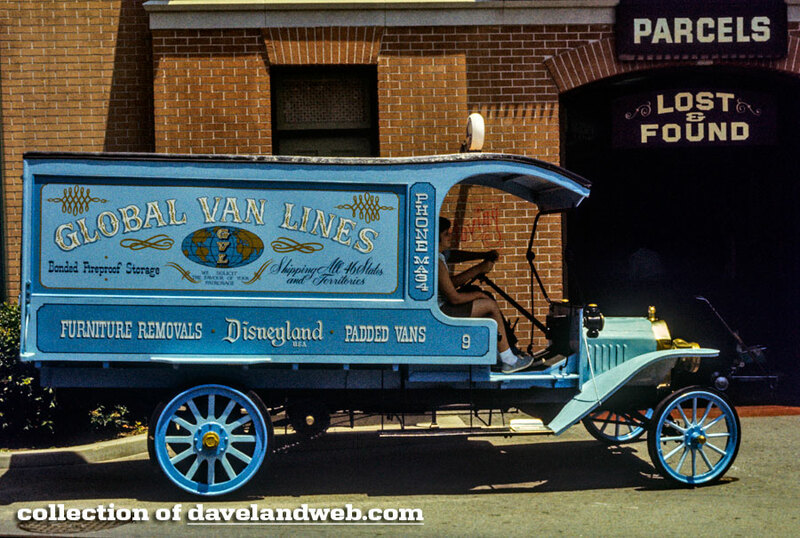 I used to go to the Global Van Lines building first thing in the morning every time I visited Disneyland back in the day to drop off my backpack at the storage lockers. Also, I made sure I had a roll of quarters to drop of purchases or retrieve items throughout the day. Sometimes I even went to Bank of America to cash a check since my account was with BofA. Those days of a "functioning" Main Street are all but over. At least as far as I can tell. I also feel that they've really ruined the balanced architecture of this corner of Town Square. Such a shame. 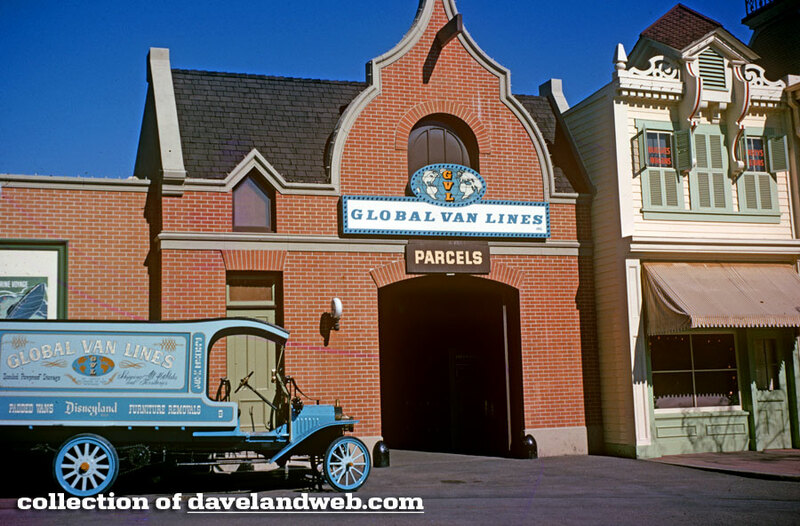 Remember the Global Van Lines building outside the northeast corner of Disneyland? Thanks, Dave. Merlin and Martin: What A Reunion!